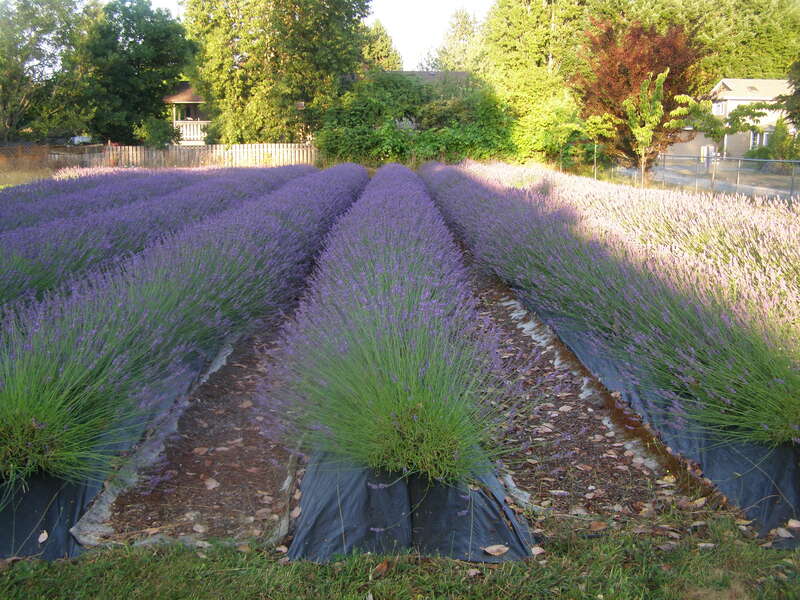 A visit at the Lavender farm in Sanichton on Vancouver Island is a rejuvenating experience. The field is incredibly beautiful with the blooming lavender plants ( of a rich, dark, lavender colour of course) and the fragrance goes right to your head. It is immediately calming and relaxing. Cedric and Lissa Zala normally sell the entire crop to a wholesale outfit, but this year the man had a medical emergency just before harvest and the lavender has not vanished into a factory. This is a good alternative for the local folks as we can now buy the lavender direct from the producer. If you get there fast, there is still a row and a half that have not been harvested yet. Most of the crop though is hanging upside down in bunches in the barn to air dry under the hum of the fan. When you enter in there by the side door, it is like walking into the aromatherapy room of a Provence spa. There is a choice of three different varieties for different uses, I chose the most fragrant thinking of filling fabric sachets for my closets and gifts. However, I was warned by Lissa that I should be careful not to use much at all of this variety in my baking as it is much stronger. The truth is, I have not made anything yet with lavender. And the other thing I have to admit is that I have not filled sachets either since my kids were young enough to want to help me with crafts. (Long time). 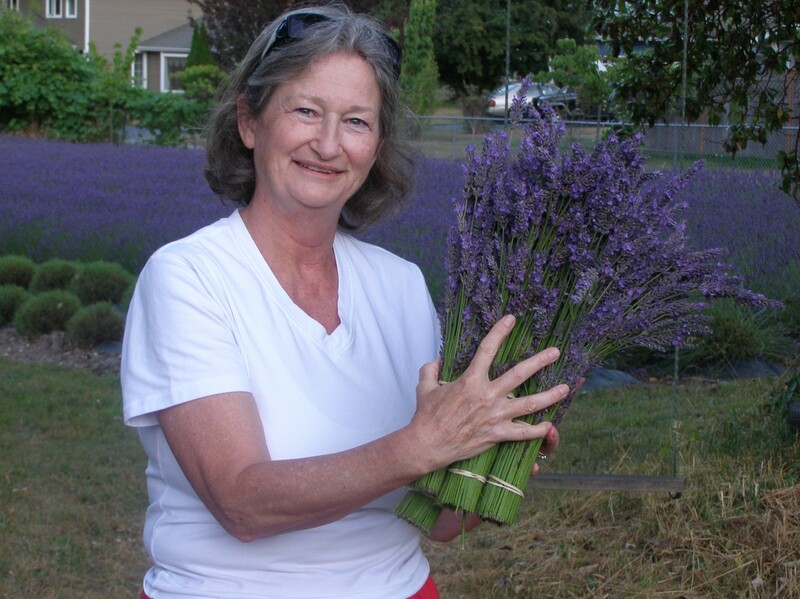 It has been way more fun to give away the lavender bunches to my friends, and much easier. There is always next week to start sewing the sachets, when the flowers will be properly dry. Lissa also makes wreaths, wands, and other crafts to sell at the market. I am just going to try a dessert and will report on that soon. 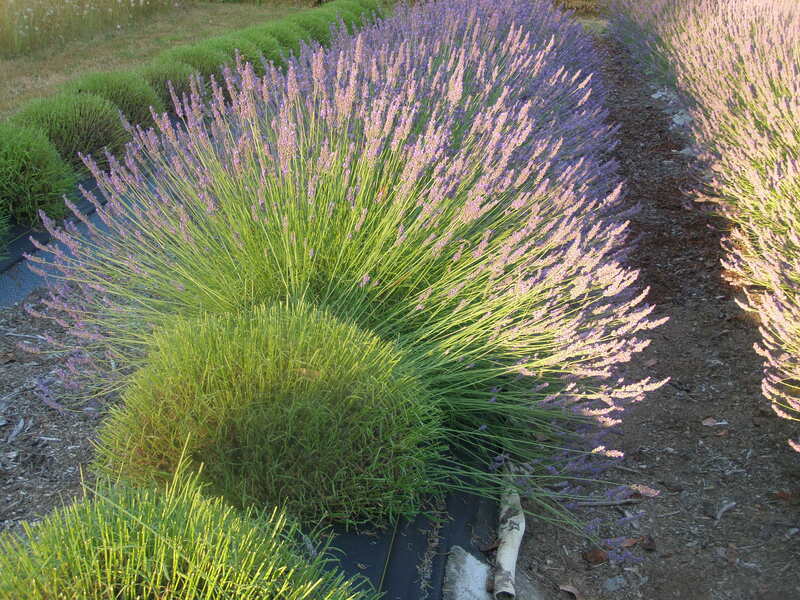 In the meantime, if you feel like a lavender fix, take a drive to 7776 Trentelman Place in Sanichton between 6 and 8 pm. You won’t regret it. The bunches are $5 or 5 for $20 and some of the proceeds go to charity. Then place a bunch in your bedroom and you will be guaranteed a good night sleep. Lavender has many therapeutic uses and feels good. Imagine a plant that is so good for you! This entry was posted in Little help from my friends and tagged crafts, food, lavender, lavender farm. Bookmark the permalink. 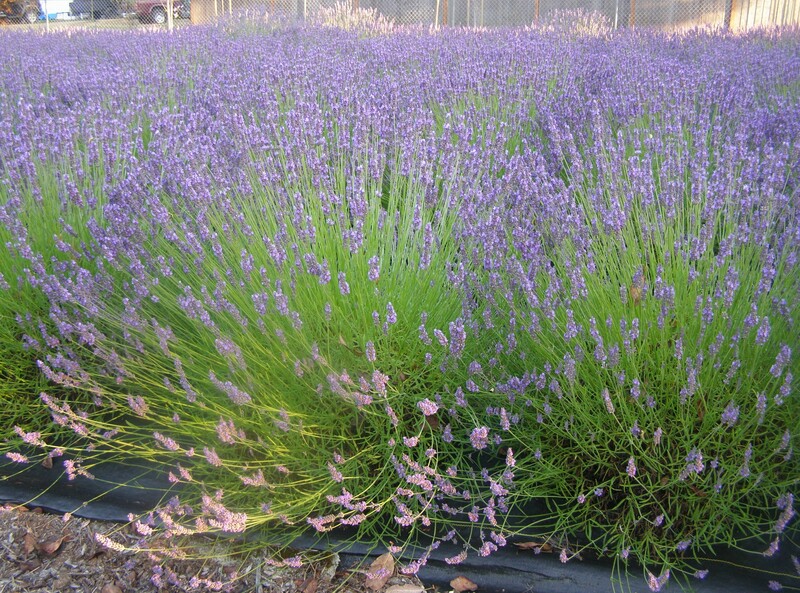 This post on lavender brings back memories of Provence. Can you do a post on “herbes de Provence?” I’d love to know how to create the mixture myself and how to use it. Do you have any advice? Do they sell lavender oil?? Wow this is such a great post! !